Infused with personality, these boots are fashioned after combat styles. 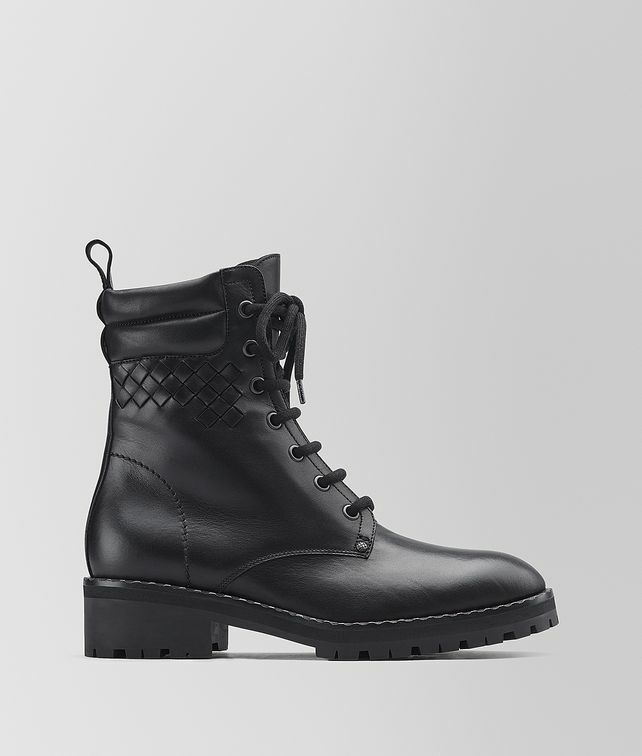 Crafted from sleek leather, they feature a lace-up front that's detailed with an Intrecciato inlay. The shaft is slightly padded for maximum comfort. Set on a bold rubber lug sole for a secure stride.